Page seven names the ten largest employers. The West Virginia Parkways Authority and W.C. Workshop, Inc. are currently accepting resumes for an Executive Director of Tamarack: The Best of West Virginia. The Executive Director will be an employee of W.C. Workshop, Inc., will report to the Parkways Authority and will have full authority and responsibility as the Chief Executive Officer of Tamarack. Tamarack is the nation’s first statewide showcase of handcrafts, fine art and regional cuisine. It comprises more than 59,000 square feet of retail space, working studios, a fine art gallery, a theater, “A Taste of West Virginia” food court, with an additional 22,500 square foot Conference Center with over 12,000 square feet of meeting space. It has an annual operating budget of approximately $7 million. Tamarack is located on I-77, Exit 45 of the West Virginia Turnpike in Beckley, WV. The candidate should possess, at a minimum, an advanced degree in a related field with at least five years of senior management experience. Compensation will be commensurate with qualifications and experience. The individual selected for this position will not be an employee of the State of West Virginia. See the Parkways Authority website at www.wvturnpike.com and go to the “About” tab and click on “Career Opportunities” for more information on this position. Integrated Resources Inc. of Maben WV earned the 2012-2013 Outstanding Rehabilitation Small facility Award. The award was given from the West Virginia Association of Rehabilitation Facilities (WVARF) at their annual banquet and awards ceremony at the Embassy Suites in Charleston WV. Integrated Resources Inc. was founded in 1966 as the House of Wonder with only a few clients and employees. Now Integrated Resources Inc. employs over 400 people serving clients, businesses and state and federal agencies statewide. 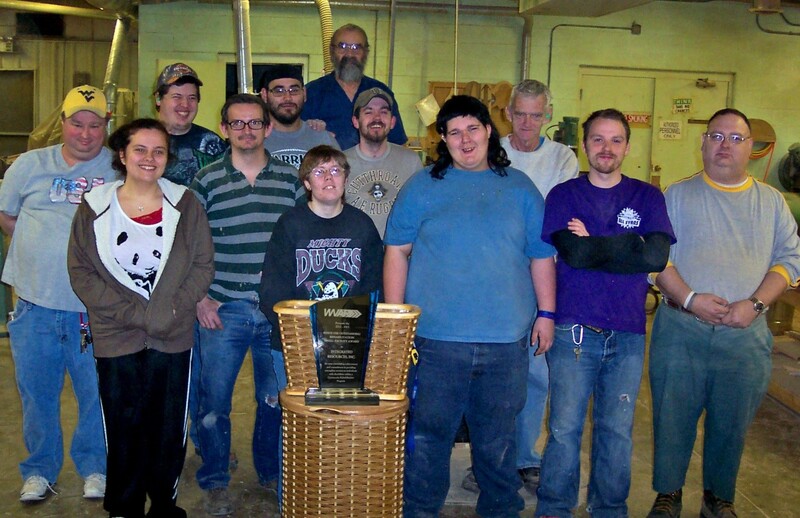 Integrated Resources Inc. has served the intellectually and/or physically challenged in Wyoming County since 1966. Over the course of forty-seven years, the facility that began as a one room elementary school in the early 1900s has been rebuilt into an administrative office building which also houses an early head start center, a woodworking facility complete with a show room and a dry kiln and a new behavioral health and rehabilitation facility. Integrated Resources became a premier service provider throughout the state of West Virginia providing products and services in the following areas: Aged and Disabled Medicaid Waiver In-Home Care; Intellectual and Developmental Disabilities (IDD) Members under the Medicaid Waiver Program; furniture restoration and wood working; temporary employment and leased employment services; commercial and residential mowing and custodial services; vocational services in conjunction with the WV Department of Rehabilitation (WVDRS); bridge monitoring services for the WV Dept. of Transportation. In the summer of 2013, Integrated Resources Inc. also opened a new comprehensive community support program at Rt 54 in Maben and will soon open one on Rt 971 in Clear Fork WV which will provide behavioral health and rehabilitation services to people with severe and persistent mental illness. Examples of skills training/maintenance include: personal hygiene, interpersonal skills, communication, meal preparation, etc. Could you, a friend or family member benefit from one of our services? Would you like more information about a product, service or program? Stop by our facility on Rt54 in Maben or call 304-294-5610. Pictured with the award are workshop members: (front) Elisha Sizemore, Carl McKinney, Mariah Lester, Stephanie Mullins, Steven (Possum) Simmons, Terry Marcum. (middle) Edward Maynard, Steven Clabaugh, Jonathan Riffe, Donnie Simmons, Jerry Tolliver. (back) Shop supervisor Dave Lane. Imagine 50,000 Scouts, Venturers, volunteers, and staff from all over the country, all gathered together for one big celebration of Scouting. Held once every four years, the National Jamboree is a chance to camp out with friends, meet new friends, try high-adventure activities, learn new skills, and enjoy the outdoors. Over 10 days, there are exhibits, stadium shows with entertainment and opportunities to work on merit badges — There is something for everybody. Close to 50,000 people lodged at the Summit Bechtel Reserve in Fayette County during the July 15th through the 24th time period, making it the second largest “city” in West Virginia. 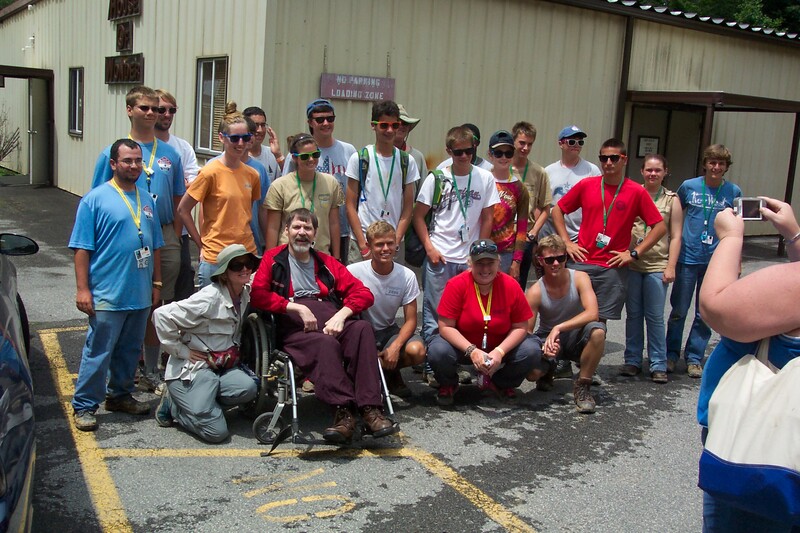 Among the hundreds of projects throughout southern WV which ranged from building trails to cleaning streams and rivers, Integrated Resources Inc. was also a beneficiary of the good deeds and services that the Boy Scouts of America are historically noted for. Integrated Resources Inc. who’s specialty is providing community services, found itself on the receiving end of possibly the largest community service project of its kind in the country. Troop F303 primarily of the Florida/Georgia areas along with Venture Scouts, brought plenty of energy to help with various projects at IRI’s Maben complex. A newly built Comprehensive Community Support Program building that will open its doors in the very near future, needed that finishing touch. That touch was provided form of landscaping. The Scouts showed their determination and stamina by taking on projects in which they had no prior experience and completing it with stunning results. They also pitched in to dig out and construct a badly needed retaining wall to protect property around the House of Wonder workshop as well as lending a hand in general cleaning and grounds maintenance. The management and staff at Integrated Resources Inc. are not only grateful for the services that the Scouts provided, but are also honored to have met and worked with some of the finest young people in the country.